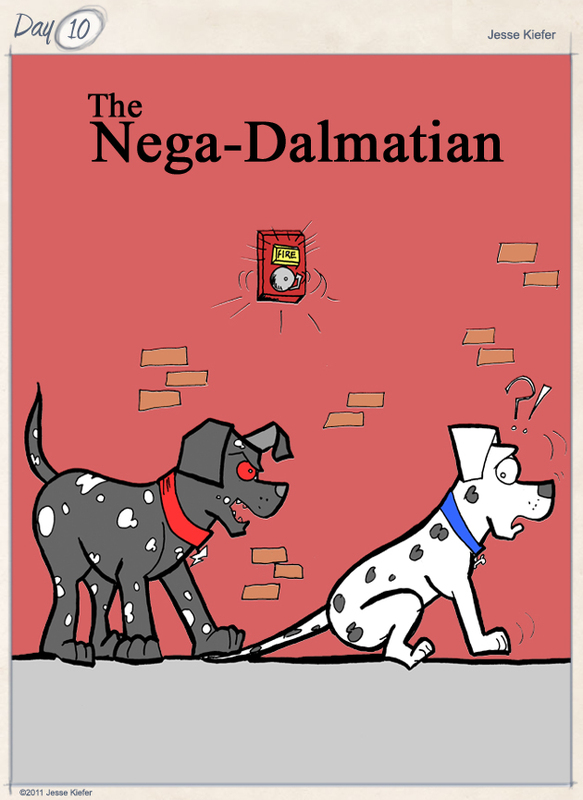 The Nega-Dalmatian does exactly the opposite of what a traditional Dalmatian is purported to do… The Nega-Dalmatian impedes firemen, he may even start fires… he is not helpful. Ha! This got a chuckle out of me. Thanks!Been a silly idea in my head for awhile, fun to get it out on paper.